The new WT-Surf offers a sleek profile, spacious layout, and more ballast than ever before. 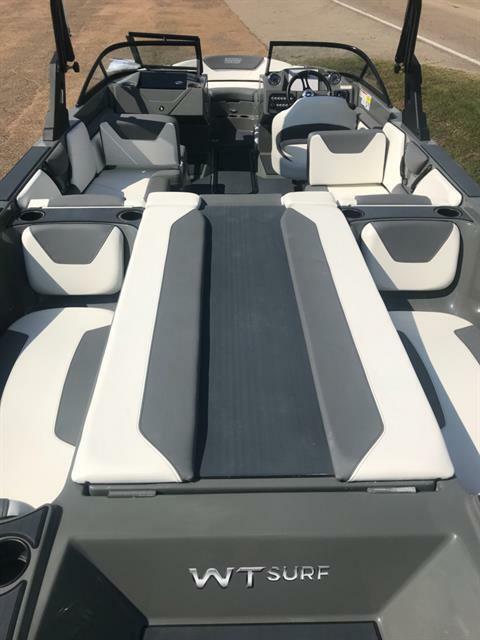 A full windshield and deep gunnels offer great protection from the elements and double-stitched upholstery keeps passengers comfortable. 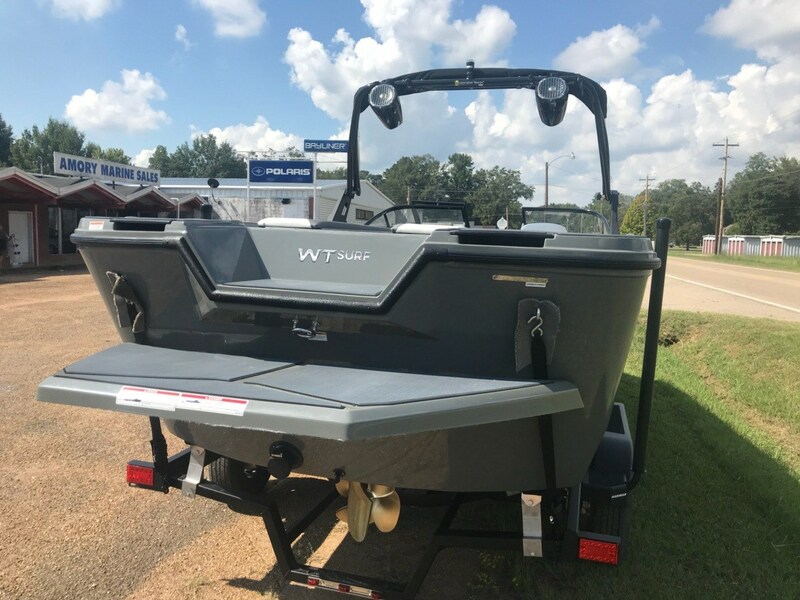 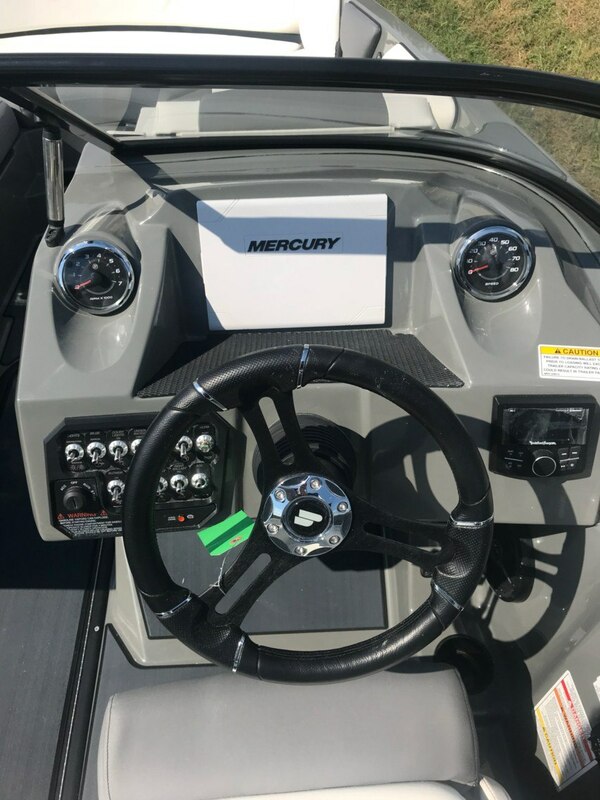 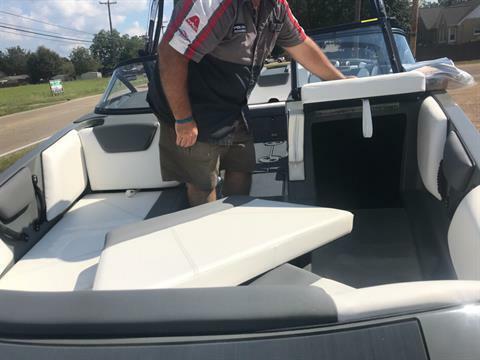 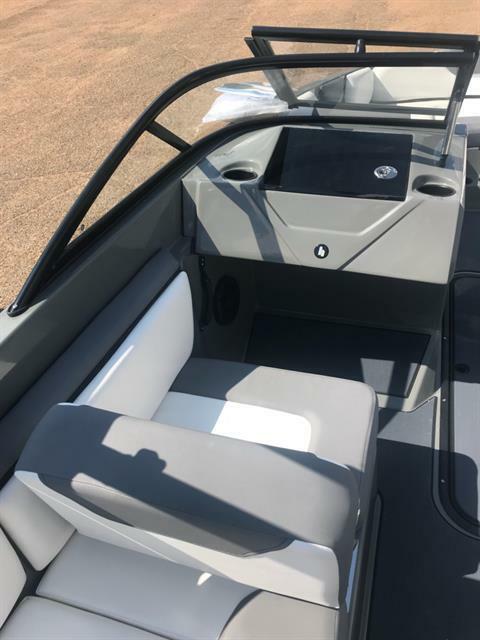 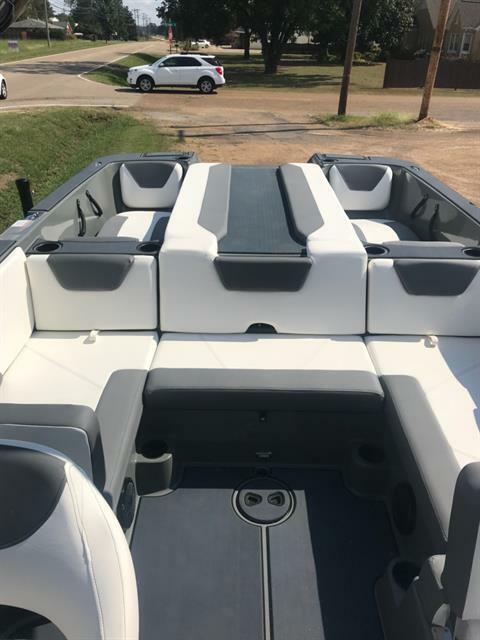 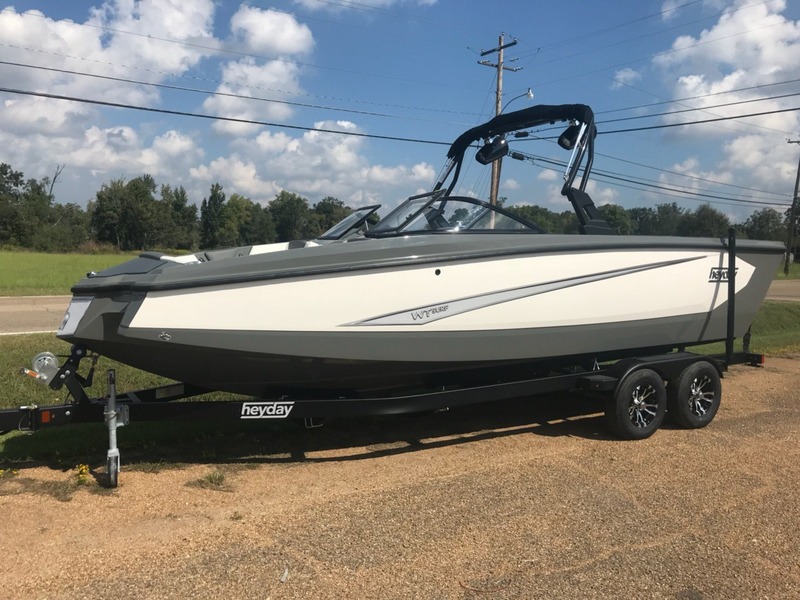 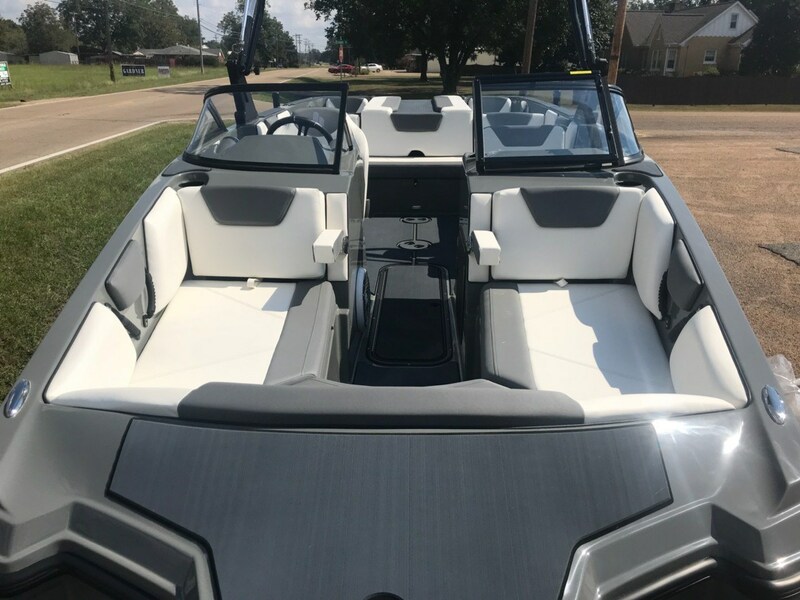 Options included on this boat are: Deck and hull color upgrade, Accent package, textured flooring, integrated touch screen display, battery switch, sound system upgrade, bimini top for tower, travel cover, alloy wheels on trailer.